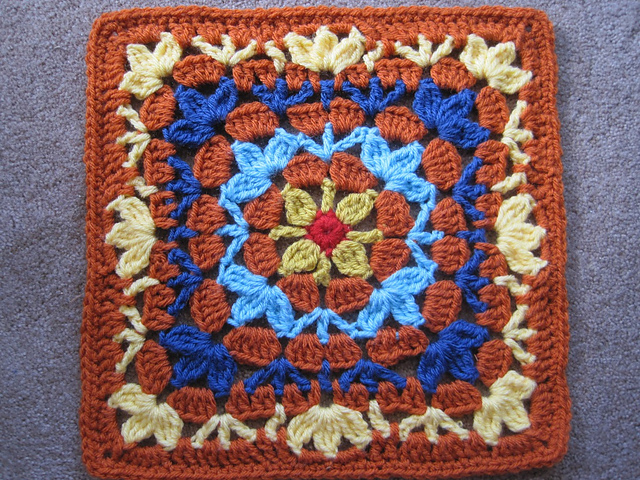 Well, the week is not over yet, but I am running behind on my squares with Thanksgiving this week. 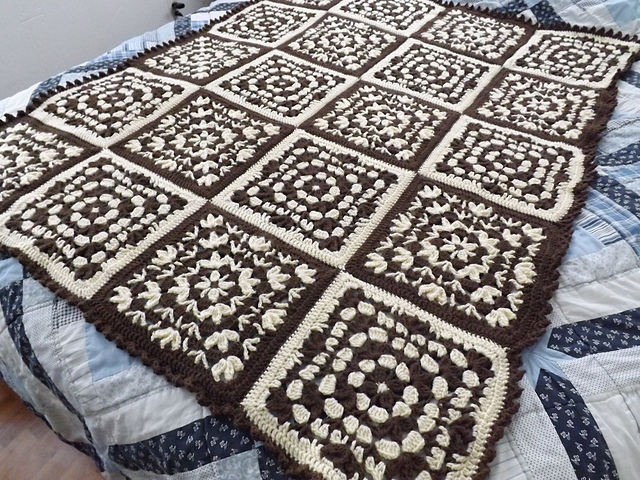 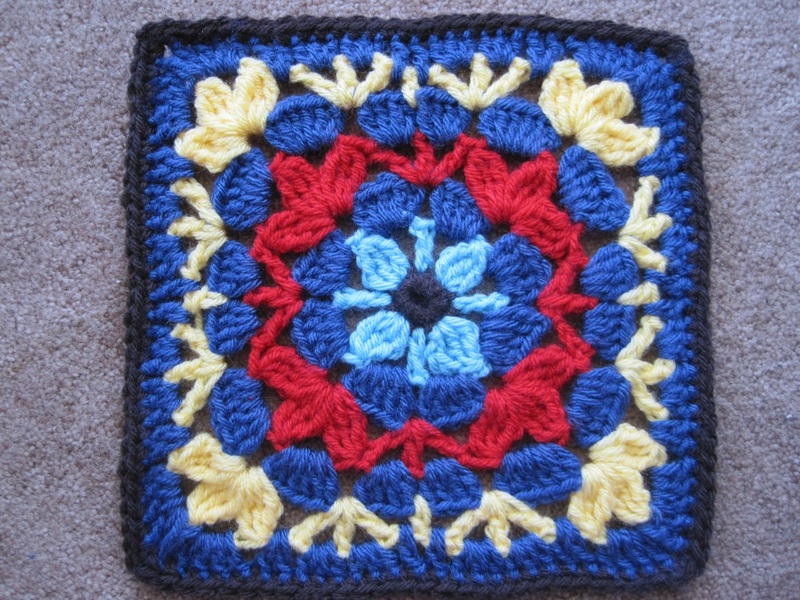 This week we are working on Sweet and Fair Afghan Square, this first one stitched by Birdlebee. 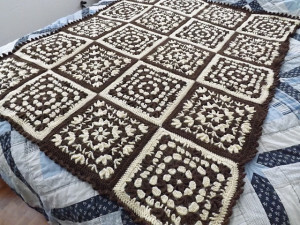 The pattern is free on Ravelry until the end of 2015, but there is also a free version here on the blog. 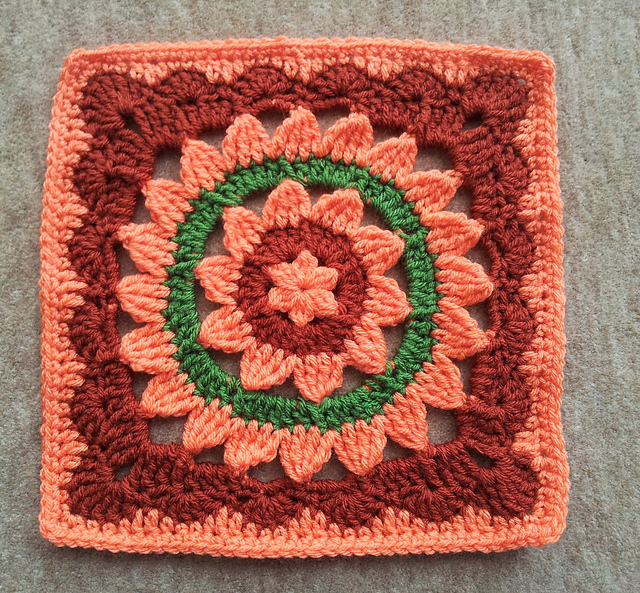 This is another easy rhythmic square, featuring treble crochet stitches. 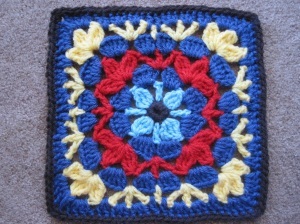 Once you get the hang of the construction, it is repetitive and fun. 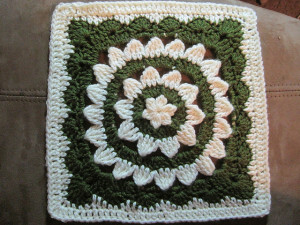 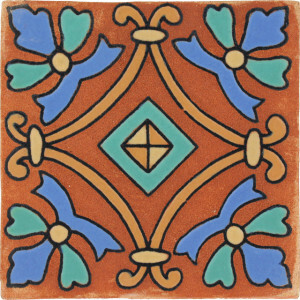 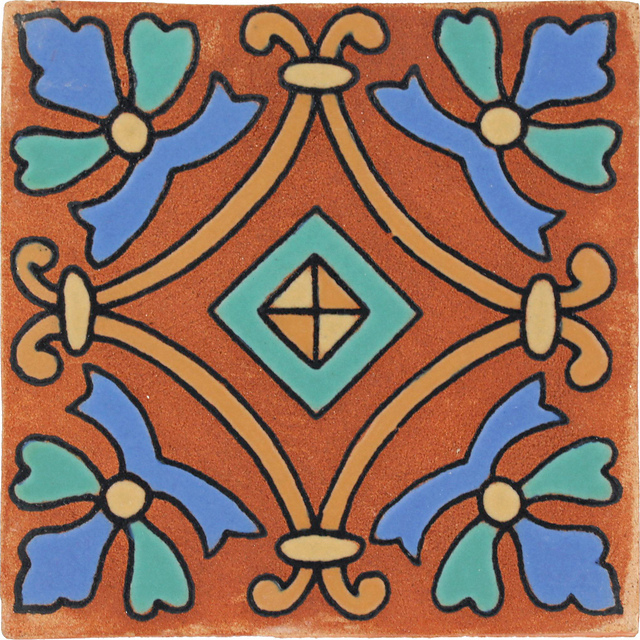 I particularly love the squaring up rounds, and I used them again on my Gretchen Square. Perfectly square! 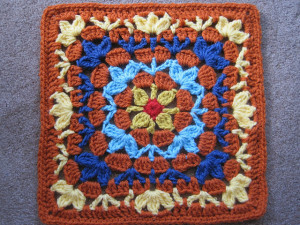 I find this square and Catalina both a little flimsier than some of my other squares, but they fit together in a sampler just fine. 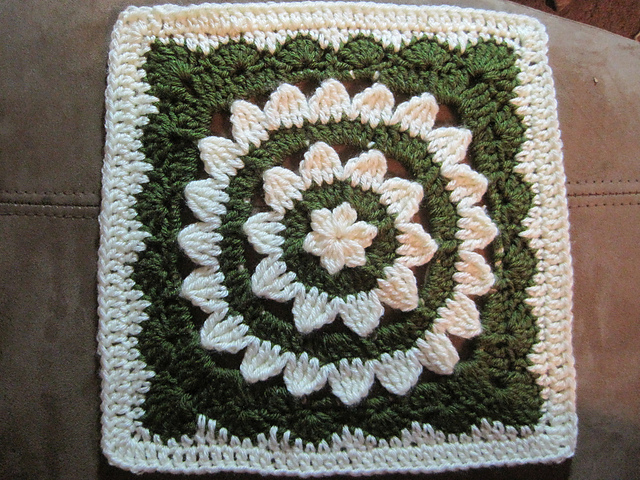 Pattern is $3.99 on Ravelry, and is also part of our 18 pattern E-book for this CAL, available for $15.00.